A Modern Life is a collection of thirteen short stories for time-pressed readers. A reflection on the challenges of living in the twenty-first century, A Modern Life covers a multitude of contemporary themes and styles and are categorised as “sweet” for the lighter stories, “salty” for the serious ones and “sweet and salty” for those with a mixture of humour and pathos. The collection opens with five humorous stories all featuring strong elements of slapstick comedy. The introductory story “Pork Chops and Promiscuity,” a tale of lesbian lust, sets the precedent for the remaining four comedic tales of office life, male striptease, amateur sleuthing and graveyard frolics. The following “salty” stories include tales of marriage, murder, suicide, child abduction, war, corruption and death. The collection ends with the "sweet and salty" story "Fantasia", set in the near future when Walt Disney awakes from cryogenic suspension to discover the world is not quite as he expected. 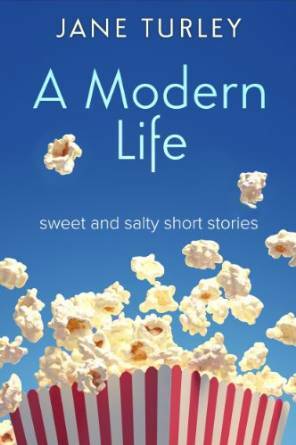 A Modern Life is a diverse compilation of stories for readers who like to be thoroughly entertained with original comedy and thought-provoking contemporary drama. This book packs a lot into every story. Unique, quirky and original, I enjoyed every one. I don't usually read short stories, generally I prefer novels as I can get absorbed into the plot and the characters. There was plenty here to keep me entertained however, in fact I might have even snorted out loud once or twice. The author has a humour that shines through, and this also can be evident in the more serious 'salty' stories. She has tackled such a wide range of important topics and condensed them down into these wonderful little nuggets of comedy. I wished that some of the stories went on a little bit longer, but I liken it to being a fly on the wall and getting a brief glimpse into another persons life. I am always left with wanting to find out more. The diversity of the stories shows what a wonderful imagination the author has. If I had to choose a favourite of all the stories it would be Fantasia. Which is a story about Walt Disney and what happens when he wakes up from Cryogenic Suspension. This one is a perfect example of how this author can blend the Sweet and the Salty and produce a story that I found quite funny but also moving. I would also like to mention The Princess and the Thief, which I also thought was really excellent and an example of how it is possible to write heartbreak and tension in approximately three pages. Thoroughly entertaining and even if you didn't want to read all the stories in one go, you could dip in and out of them. Jane Turley doesn't take herself too seriously and believes laughter is the best medicine for life's ills. She attributes her sense of humour to her childhood spent gazing out of a Silver Cross pram in the seaside resort of Weston-super-Mare. Her excessive exposure to salty air and seagull poop left Jane with an unfortunate desire to inflict her dubious wit on everyone, including passing strangers, scarecrows and stray dogs. Unsurprisingly. sometimes people think she's odd. Jane now lives in a village in central England where folks are very kind and give her sympathetic looks when she talks too much. You can find her at The Witty Ways of a Wayward Wife. A place where she talks. A lot. Jane Turley is also the author of The Changing Room. The Brief was published by Urbane Publications on 28th September 2015. In the 60s London of gangsters, prejudice and terrifying gang wars, Barrister Charles Holborne spends his life dealing with the worst examples of violent criminality. After successfully winning a number of high profile cases, he is building a reputation amongst Soho's criminal classes as a man who gets the job done, a reputation that doesn't endear him to his establishment colleagues. Yet Charles is not all he seems, and is battling both personal demons and his own past. When his philandering wife Henrietta is found with her throat slashed, Charles finds himself on the wrong side of the law and in serious trouble of the murderous kind. Arrested for her murder, can Charles discover the truth of her brutal slaying and escape the hangman's noose? Based upon real cases and genuine court documents, The Brief is a compelling criminal drama, and an evocative slice of sleazy glamour from the Swinging Sixties. I had anticipated when starting this book that it was going to include lengthy spells in the courtroom. I am glad that this wasn't the case. It was a gripping legal thriller that I whizzed through in a matter of hours, such was the pacing of the plot. The setting of 60s London was excellently envisaged and provided an apt backdrop for the murkiness of this seedy tale. The author has a deft approach to plotting and even when I thought I had it all worked out and had the case closed there were still twists and turns to come and a red herring or two. I am not sure there were that many characters to like, that wasn't a problem though as the whole set of them were strongly written and drew my mind back to what life could have been like in Chambers in 60s London. I did however eventually end up liking Charles. Charles the central character first of all struck me as a bit of a naive buffoon but in actual fact he went on to prove that he was astute and resourceful and at the heart of everything unrepentent in his search for justice. He is a bit of a hero really. Even when up against prejudice and criminality he never gave up on his quest. This book was gritty, gripping and utterly compelling. Highly recommended to those who enjoy legal thrillers and even those who don't usually. The author has put his years of legal experience and research to excellent use and is one hell of a story teller. I was also excited to learn that there is to be a follow up released later year called An Honest Man, which I will be looking forward to reading. A storyteller all his life, Simon started writing short stories at school. His first novel (co-written) was published by Grafton in 1988 and was followed in 1989 by his first solo novel, The Cut Throat, based on Simon's own experiences at the criminal Bar. In 1991, Simon's short story Split was shortlisted for the Cosmopolitan/Perrier Short Story Award. He was also commissioned to write two feature screenplays. Simon then put writing aside to concentrate on his career at the Bar. After a further 25 years experience he now has sufficient plots based on real cases for another dozen legal thrillers. Simon still practises law countrywide but now works only part-time. He lives with his wife and youngest child in Bedfordshire. He is a founder member of the Ampthill Literary Festival. DOES EVERYTHING IN LIFE HAPPEN PURELY BY CHANCE? OR ARE WE GUIDED TOWARDS PEOPLE WHO CAN HELP US IN OUR HOUR OF NEED? Following the sudden death of her beloved mother, Jessica Gibson's world falls apart. But after meeting a man who seems heaven-sent, she starts to feel she has something to live for again, and soon discovers that their connection holds far more significance than she could ever have imagined. And when Jessica strikes an unlikely bond with Alexandra Green, the two new friends are taken on an emotional journey into the world of the supernatural, where psychic mediums pass on messages from beyond the grave. What -- or who -- is causing the strange goings-on in Alex's home? What secret is she keeping from Jessica? And who is the young woman who so badly needs their help? In a series of surprising twists and turns, the pieces of the puzzle finally fall into place and a mystery is unwittingly solved -- with life-changing consequences for all involved. 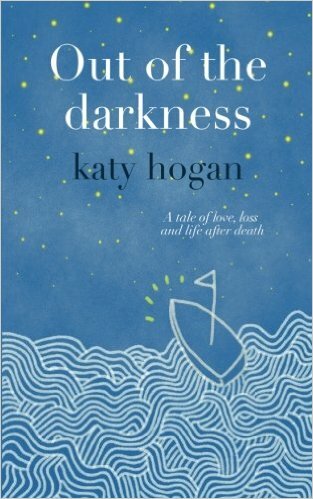 'Out of the Darkness' is an uplifting tale of friendship and redemption; of love and loss. And life...after death. There are many books around that have a supernatural element to them. On the whole I generally am not drawn to this type of book, so I was hesitant about accepting this one for review. I am so glad that in this case, I made an exception. I guess I have a small amount of interest in psychic abilities and although more than a little sceptical, I have been to television recordings and live audience shows with Colin Fry. I certainly believe in 'something', although I am not sure in the entirety. I only point this out as it isn't necessary to believe, to enjoy this story and the beautiful writing that is contained. This is a story of friendship, Jessica Gibson's Mother has died, and primarily this is a story about working through grief, and moving on with hope for the future. There are other characters that I particularly liked including Hannah and Alex. These ladies are also going through losses of their own. I adored the way the main characters interacted and came together as mutual support during trying times. Testament to the fact that friendship really can be a saviour. 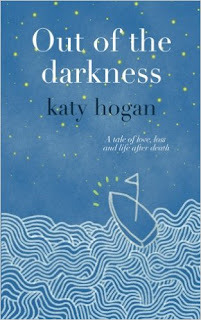 I found this book very moving, the writing was beautiful and the characters were utterly charming. The author has created a book that although sad in nature, ends with a positive feel. Although I admit to shedding a tear or two, I found this book actually uplifting and life affirming. I would think it would also be comforting to those who are going through bereavement or loss themselves. I would suggest that there is much to be taken from this book by all readers. I thought it was wonderful, with a beautiful and subtle touch that really moved me. I would very much recommend this one. And so began a fascinating quest, where I met 'ordinary' people who claimed to have experienced the extraordinary. This is where I found the inspiration for my debut novel, 'Out of the Darkness'. Although it's fiction, much of the phenomena written about in the story have been experienced by me, my friends or people I spoke to during my research. I have started work on my second novel, but when I'm not writing, you will find me keeping tabs on my teenage children or walking my dogs in the Hertfordshire countryside. This book is published on 18th February by Sandstone Press. 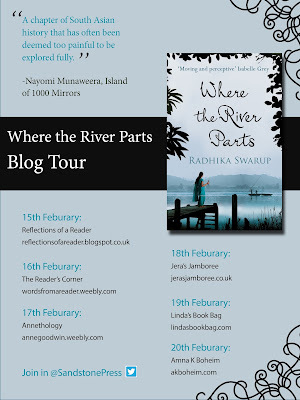 My thanks to them for sending me an early copy and inviting me on to the blog tour. Blood had begun to trickle down Asha's starched cotton salwar, and once more she tried to will herself to stay calm. It was nothing. These things happened. But these things haven't happened before. It's August 1947, the night before India's independence. It is also the night before Pakistan's creation and the brutal Partition of the two countries. Asha, a Hindu in a newly Muslim land, must flee to safety. She carries with her a secret she has kept even from Firoze, her Muslim lover, but Firoze must remain in Pakistan, and increasing tensions between the two countries mean the couple can never reunite. Fifty years later in New York, Asha's Indian granddaughter falls in love with a Pakistani, and Asha and Firoze, meeting again at last, are faced with one more final choice. This book was bold in scope and narrative and it did not disappoint. An epic story that spanned decades and showed some of the brutalities, desperation and sadness, and the ruining of the families and lives of so many. A story of a period of history that I am ashamed to say I knew nothing about. The Partition of India and Pakistan in 1947 and what it meant then for a Hindu girl to fall in love with a Muslim Boy. 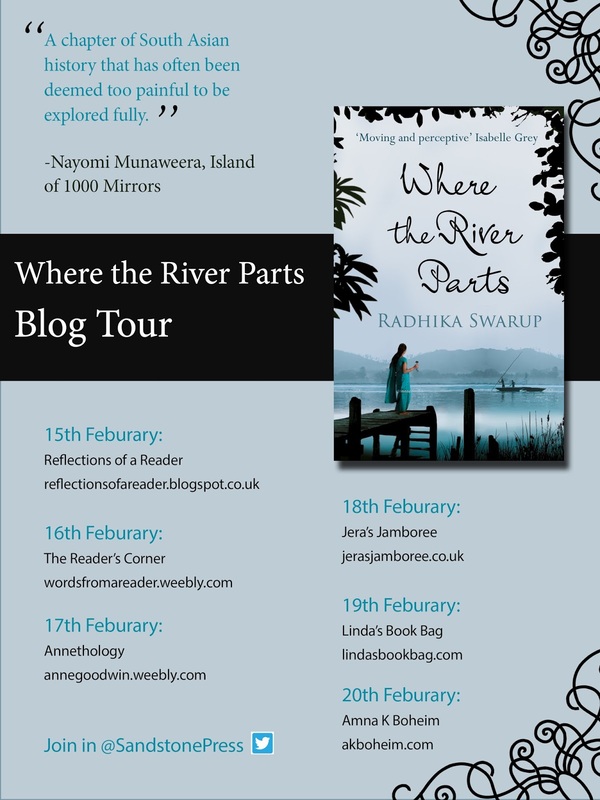 Told from the perspective of Asha we follow her life in India and how she has to escape her home and life as she knows it, with her family as it was no longer safe. How alone and frightened she arrives in Delhi and has to settle to a life that maybe not of her choosing but the best she could have hoped for. I have to admit it took me a couple of chapters to settle into the story. However once I did I was swept away to that time and place. The writing was beautiful and the story seamlessly flowed, considering the timespan that was covered. The descriptions of the places and the landscapes allowed me to imagine I was right there. A story of love and survival but also of friendship. A story that shows that despite hardship, you should never give up on your dream. I don't read much historical fiction but this story was as beautiful as it was shocking and I would highly recommend it. A very accomplished debut that had an almost cinematic feel to it, where I felt invested in the characters and the outcomes and where I had to gasp a few times as the events unfolded. Radhika Swarup spent a nomadic childhood in India, Italy, Qatar, Pakistan, Romania and England, which gave her a keen sense for the dispossessed. She studied at Cambridge University, and worked in investment banking before turning to writing. She has written opinion pieces for Indian broadsheets and the Huffington Post as well as short stories for publications including the Edinburgh Review. 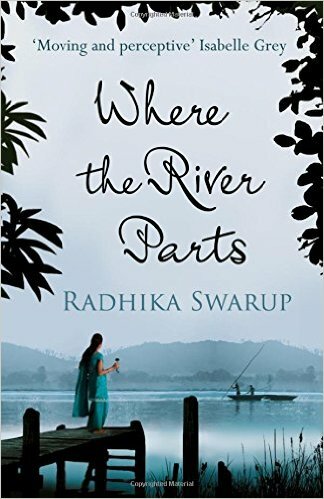 Where the River Parts is her first novel.